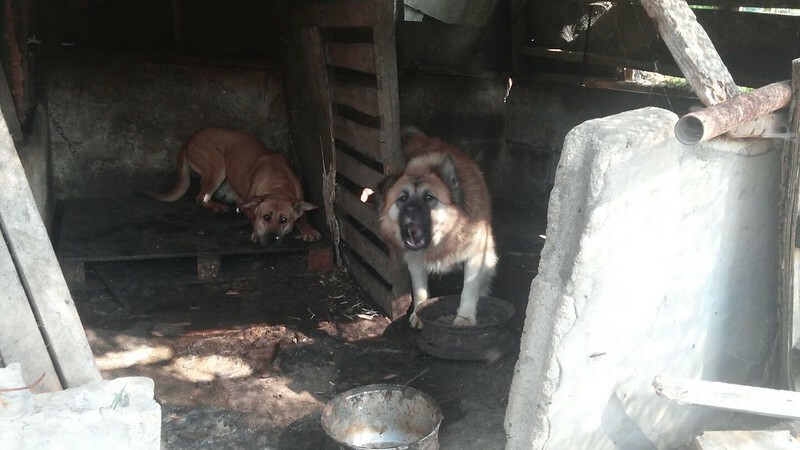 Home / Blog / Hell on Earth, Yangsan Sangbuk-myeon Dog Farm. [Update – June 28, 2017] Busan KAPCA met with Yangsan city authorities regarding animal welfare. 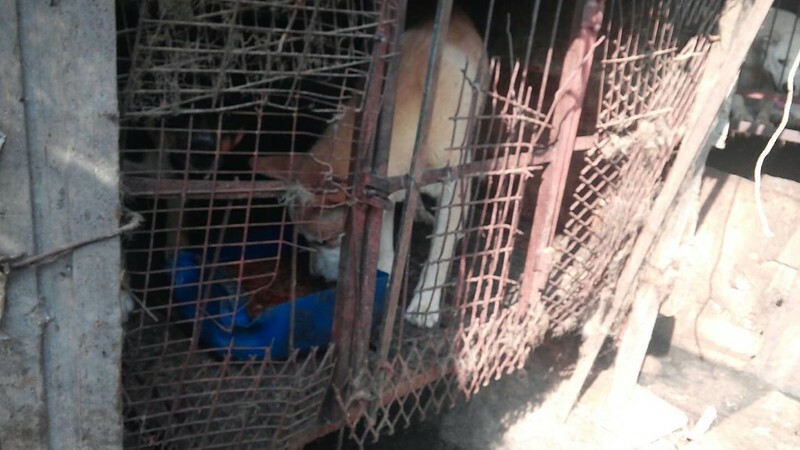 This is an update from Busan Korea Alliance for the Prevention of Cruelty to Animals (Busan KAPCA). They had met with the Vice-Mayor of Yangsan. 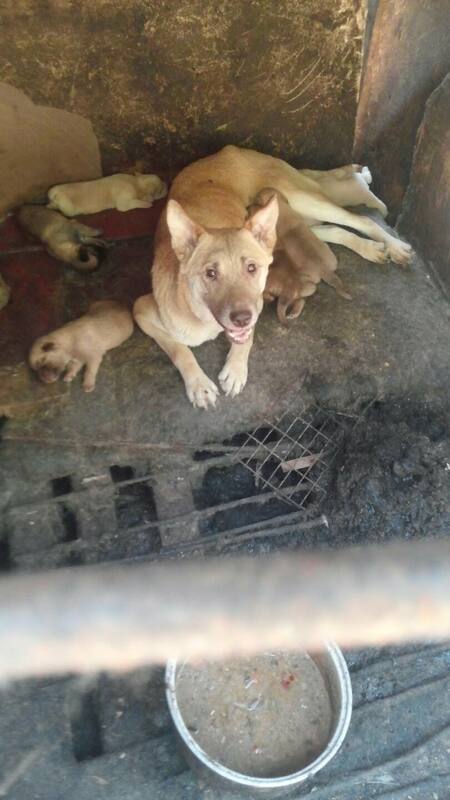 Yangsan is taking action on this dog farm. Busan KAPCA also discussed the various plans of the city to improve animal welfare, including establishing a department dedicated to it. Busan KAPCA will keep an eye on this city. 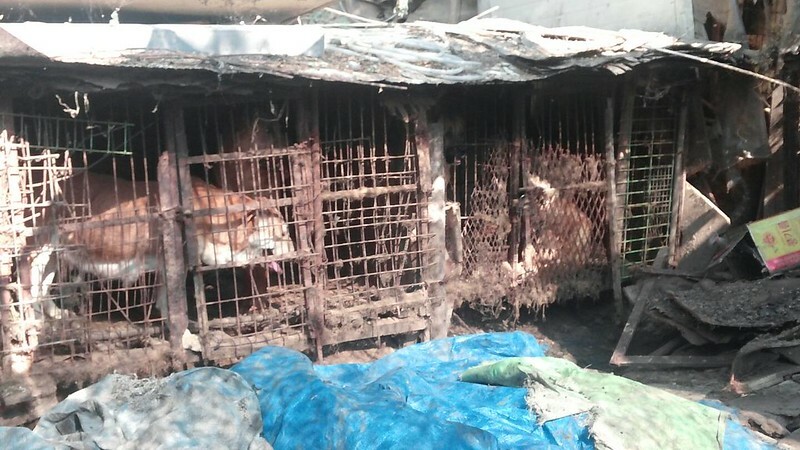 We need to keep the pressure on Yangsan to make sure their plans are not only empty promises, and that they will continue to take action towards their plan to improve animal welfare. A big thank you goes out to Busan KAPCA for their diligence and dedication. A thank you also goes out to everyone who had filed a complaint. If you haven’t already, please go ahead and file a complaint to let them know that we are watching. Click HERE to see the Busan KAPCA’s post on Facebook. 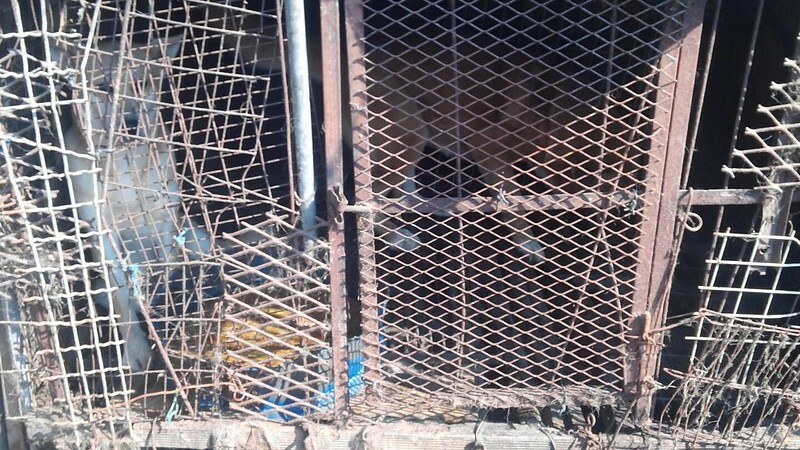 Busan Korea Alliance for the Prevention of Cruelty to Animals (KAPCA) investigated a dog farm located in Yangsan and reported them for violations to the local authority. 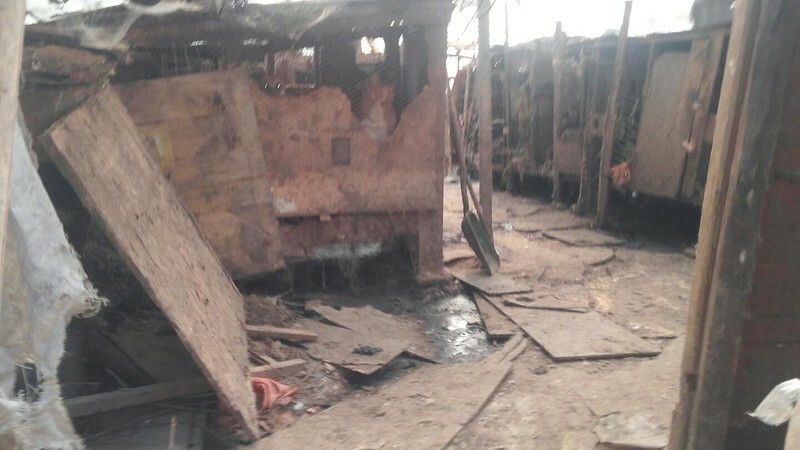 They described it as “worst they have ever seen” and they have seen many dog farms. 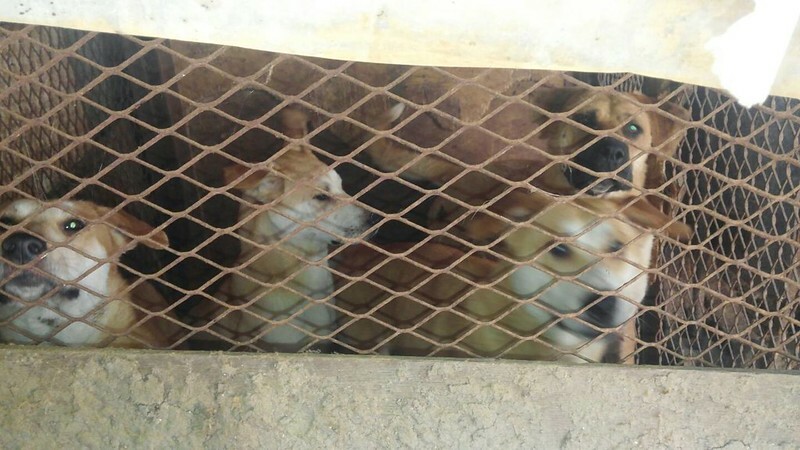 Right now they need your help to put more pressure on their government to take action to close down this illegal dog farm. Regarding: Yangsan, Sangbuk-myeon Gongwon-ro Dog Farm. 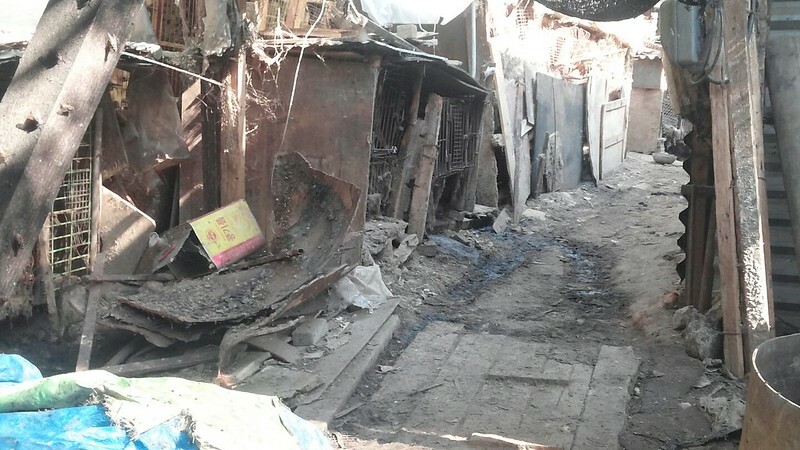 They are in violation of many Korean laws including the Animal Protection Law by committing unspeakable cruelty to 150 dogs confined in that farm, polluting the environment by letting feces percolate into the ground, etc. Please save the dogs and provide them proper medical attention as well as provide them opportunity to be adopted into loving homes. 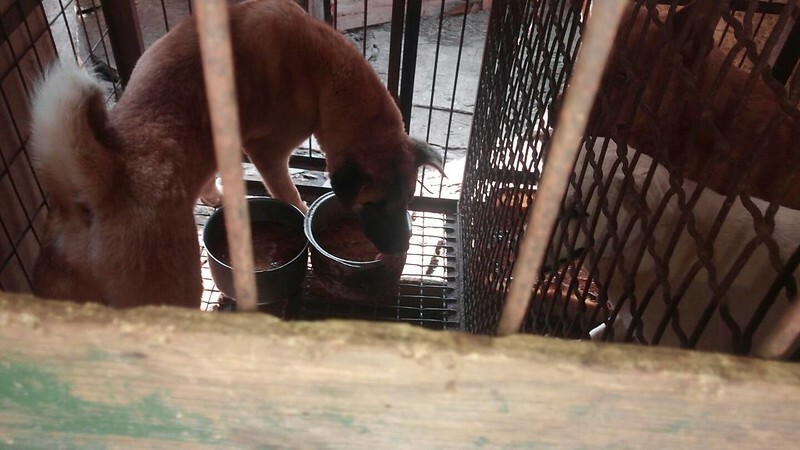 Please update me on the status of the action taken to close down this illegal dog farm. 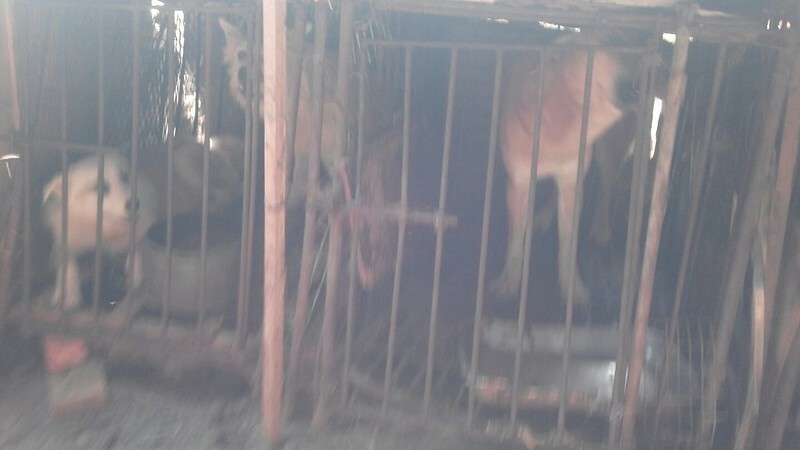 We, the animal advocates of the world, are watching this case closely with hope to save these poor dogs from hell. Feel free to attached the photos with your petition. Click HERE to see all photos from this dog farm. Stop this Horrific evil acts all animals/ dogs,cats. All animals. SHAME ON THE AUTORITIES TO BE INCOMPETENT AND UNABLE TO CONTROL ITS LOWLIVES CITIZENS ! BOYCOTT ALL FROM COREA AND CHINA ! Please stop all atrocities on animals. How could these stinking repulsive nauseating dog farms from hell produce healthy dogs even to wrongfully eat them is bizarre irrational and reflects serious mental deficiencies in this nation! The WHO needs to look into this disturbing patterns of abnormal behaviour in this country of such diminished signs of healthy minds and bodies! Ces fermiers ne sont pas des humains. Pire que tout ce que la terre a pu engendrer de mauvais. Qu’ils pourrissent éternellement en enfer ! STOP eating Cats & Dogs. They are a part of the family loyal loving and helpful. In times of disaster Dogs are used to help rescue and find people who are trapped, and this is how you pay them back by eating them. Cats keep all the vermin down by catching and killing them also protects your family. Stop the abuse and killing of these beautiful animals. awful ! how the whole world can stand this up ? !!! this is the matter of whole humanity !!! if we call ourselves “civilised people” , I don’t understand why this horror still lasts !!! this is a big shame for the humanity !!! what our futur generations will think about us if we do nothing to ban this horrendous situation ? the governements of whole the world !!!! stand up and speak out against this !!! protest and ban this shame !!! No product are any travelling to Korea is planed, so long they do this barbaric things! 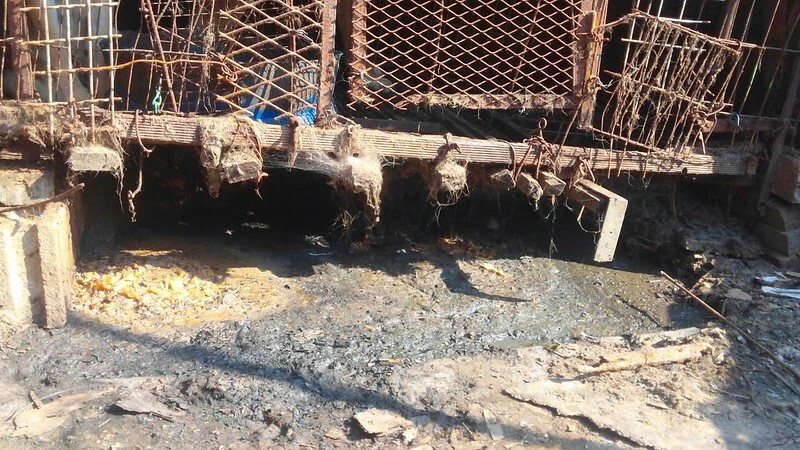 Just seeing these dogs in deplorable state, my heart simply sinks. The people who can do this are not human but sub-human. Their soul is poisoned and their brain not functioning at all. THESE PEOPLE SHOULD BE PUT ON SOME REMOTE ISLAND TO LIVE OUT THE REST OF THEIR DEMENTED LIVES WITH NOTHING. HORRIFIC!!!!!!!!!!!!! BARBARIC!!!!!!!!!!!!!!! STOP THIS INSANE, CRUEL AND HEARTLESS ACTIONS! BEAUTIFUL INNOCENT ANIMALS THAT ONE DAY WILL BE FREE FROM THOSE MONSTERS! GET A PLAGUE AND DIE BUTCHERS! YOU DESERVE THE WORST ILLNESS TO PAY FOR WHAT YOU DO TO THOSE ANGELS!!!!!!!!!!!!!!!!! BOYCOTT THOSE HORRIFIC COUNTRIES! 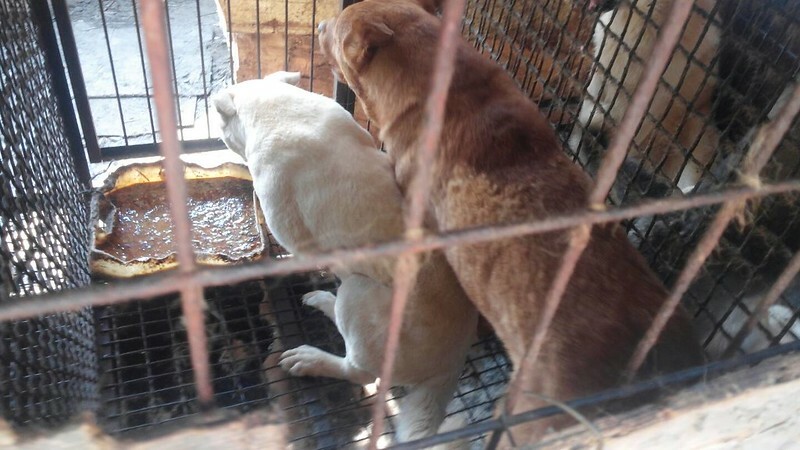 Stop this dog and cat meat trade and Slaughter. THIS HELL ON EARTH FOR OUR PETS NEEDS TO END NOW! ENOUGH IS ENOUGH! PLEASE HELP SUPPORT TO STOP THESE SICK BARBARIC PEOPLE FROM MURDERING & EATING OUR PETS! Put a stop to this barbarity!!!!! I’m one of the many hundreds of thousands of people whom love all animals all over the world and here in GREAT BRITAIN WE’RE HORRIFIED AT THE SADISTIC BARBARIC ACTS OF VIOLENCE CRULETY ALL DOGS GO THROUGHT FOR THIS GOD DAM FESTIVAL ??? WE’RE ALL WATCHING YOU! IT MUST BE STOPPED! DOGS ARE COMPANIONS NOT! FOOD! ??????✌???✌? Dogs who have ffelings, feel pain and like people and they are in that place. They need a home, animal care, love evertyhing people need. illnesses, and that your bodies are racked with pain…………………………………………………..!!! Thats it, enough, stop Korea, this barbaric act. STOP ZABIJANIU PRZYJACIÓŁ CZŁOWIEKA WIERNYCH I ODDANYCH DO KOŃCA SWOICH DNI TO NIE LUDZKIE I NIEGODNE TRAKTOWANIE TYCH ZWIERZĄT NIE MOŻE ZOSTAĆ BEZ ECHA TO TRZEBA NAGŁOŚNIĆ NA CAŁY ŚWIAT ABY CI OKRUTNI LUDZIE PONIEŚLI ZA TO KARĘ. It’s cruel & barbaric for a civilized country like yours to have these slaughterhouses and primitive trade open. Please have compassion for these poor defenceless animals & close this horrendous trade. The world is watching. All of these comments made about the animals being in a cruel, inhumane, barbaric, sadistic, and deplorable conditions!!! Who in Gods name would want to come to your primitive country !!! Its like being in the DARK AGES!! Where is HUMANITY?